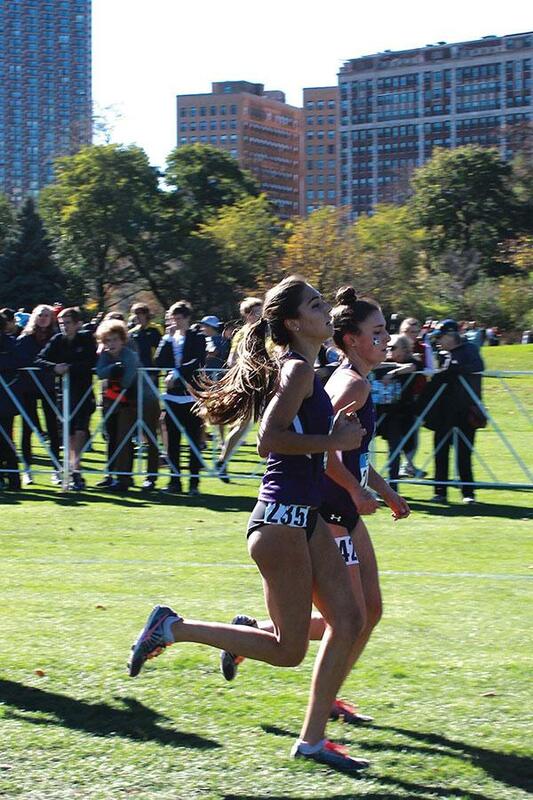 Two Northwestern runners compete in a race. The Wildcats’ main focus for the outdoor season, which kicks off this weekend, will be to stay healthy. After more than a month-long break from competition, Northwestern heads to the Bay Area for the San Francisco Distance Carnival, its first event of the spring outdoor track season. The Wildcats last competed at the Illinois Orange and Blue Open in Champaign on Feb. 20, where sophomore Isabel Seidel won the 3,000 meter event, her first event of the indoor track season after an injury sidelined her in the fall. Even though NU had a seemingly long break between competitions, and training outdoors is difficult in Evanston during the winter months, the team hasn’t been just sitting around since February. Coach ‘A Havahla Haynes said if anything, the time off from competing has made the team stronger, as it focused on keeping runners healthy during the indoor season and getting stronger to prepare for outdoor competitions. Additionally, Haynes said this weekend in particular is a great inaugural event for the team. The event, hosted at San Francisco State, is a two-day competition with jumping and distance events on Friday and sprints, hurdles, relays and two more distance races on Saturday. This event sets the team up for clocking fast times and preparing for qualifying meets later in the season, Haynes said. The spaced-out nature of the competition also allows runners to rest between events. Given this is her first outdoor event since last track season, Seidel said she is nervous, but also excited. She said the team has been training well and the events of the weekend will help the runners find out where they are most comfortable.